One of the biggest stories of the last year or so has been the recognition within the public square that a new round of anti-Semitism is gaining momentum, seemingly all over the world. I have written in the past about the new anti-Semitism, which is the hatred of the state of Israel in the same way an individual Jew has been hated historically, and its rise since 911 and of Christian Palestinianism gaining within the church. With these developments, the world is currently witnessing the shift into high gear of Jew hatred. The Bible lays out a clear future concerning the destiny for the reestablished nation of Israel, currently returning in unbelief with some exceptions. History is currently in the church age, most likely at its end. The next specifically prophesied event is the rapture of the church without any preceding signs. The rapture will be followed by an interval of time, probably a few years, so that players will be moved into place enabling the start of the seven-year tribulation when the Revived Roman Anti-Christ and the nation of Israel enter into a seven-year covenant that starts the seven-year countdown to the second coming of Christ. I believe the Gog and MaGog invasion of Ezekiel 38 and 39 will take place after the rapture but before the start of the seven-year tribulation. This will set the stage for the events of the tribulation and the rebuilding of the Temple, which will be the focus of events in the middle of the seventieth week of years. The tribulation is called, for the restored nation of Israel, "the time of Jacob's distress (or trouble), but he will be saved from it" (Jer. 30:7). Once again, Jeremiah speaks of events during the tribulation when he says, "'For I will restore you to health and I will heal you of your wounds,' declares the LORD, 'Because they have called you an outcast, saying: "It is Zion; no one cares for her"'" (Jer. 30:17). This is becoming the status of the nation of Israel, even in our own day. Increasingly, even old friends, like the United States, are turning against Israel and are becoming increasingly antagonistic toward her. Such reproach from the nations will become Israel's status during the tribulation as we see things trending in that direction in our own day. In fact, the apparent purpose for the covenant of Daniel 9:27 is because Israel will be seeking protection from her enemies, which in our day are increasing day-by-day. Thus, current events relating to Israel are setting the stage for her to become willing to participate in just such a covenant as predicted by Gabriel in Daniel. The purpose for the tribulation in relation to Israel will be the purging out of the non-elect Jews or the rebels (Ezek. 20:38), leaving only the believing remnant who will turn to Jesus as their Messiah when the entire world will be gathered against them in order to destroy God's people because of their rebellion and hatred of God. We see God's purpose stated in Zechariah 13:8–9: "'And it will come about in all the land,' declares the LORD, 'that two parts in it will be cut off and perish; but the third will be left in it. And I will bring the third part through the fire, refine them as silver is refined, and test them as gold is tested. They will call on My name, and I will answer them; I will say, "They are My people," and they will say, "The LORD is my God."'" We see a similar comment in Daniel 12:9 which also speaks of the tribulation period. "Many will be purged, purified and refined; but the wicked will act wickedly, and none of the wicked will understand, but those who have insight will understand." The Bible teaches that a condition for the second coming of Christ to earth is that the Jewish people must accept Him as their Messiah and call on Him to rescue them (Hosea 5:15; Zech. 12:10; Matt. 23:37–39). Thus, the second coming is a rescue event by Christ where He personally intervenes against the nations of the world and their goal to wipe out the Jewish people since all the armies of the world will have gathered in Israel in their attempt to accomplish that objective. Today Israel is a nation that is increasingly being squeezed by the nations of the world. Last year they fought a war against Hamas from the Gaza Strip as they launched rockets and attempted to invade Israel through tunnels. Thankfully, the nation was only scathed a little because of the technological development of the Iron Dome missile defense system. However, as usual when Israel defeats their opponents the United Nations and the European Union launch investigations against Israel, as if they somehow broke some imaginary internal law or committed war crimes. They totally ignore anything that Hamas does because of their anti-Semitic inclinations. 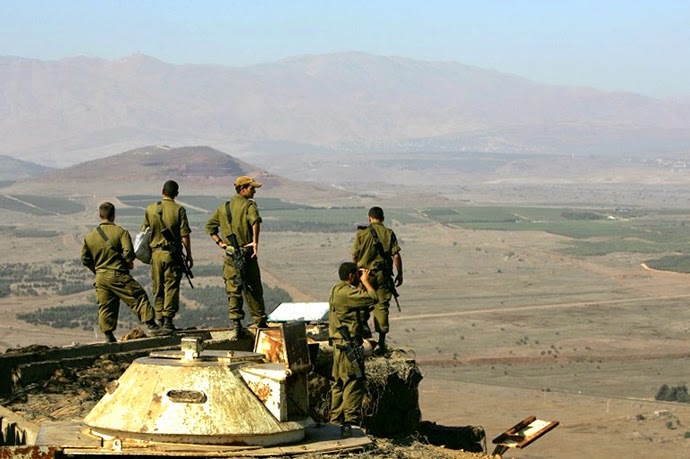 In the last few months there has been rumblings in the North, as Hezbollah appears to be on the verge of precipitating a conflict against Israel as it positions its troops into enclaves it has been preparing for almost a decade. Both Hamas and Hezbollah are financed and militarily supported by Iran. Then, add to that, the increasing threat that ISIS or the Islamic State is becoming as they gain more control of territory in Syria that borders Israel. They are positioning themselves so that they can open up a front against Israel in parts of Syria and also attempting to take on Jordan in order to surround Israel from there as well. We are also hearing about threats coming from Egypt. Not from the Egyptian government, which is actually friendly toward Israel, but from terrorists who are coming into the Sinai and operating from there. In addition, Israel's shipping lanes through the Gulf of Aqaba could also be threatened as more terrorist groups are gaining control of segments of Northwest Africa and parts of the Arabian Peninsula. Because of American President Barack Obama's virtual shutdown of an American military presence in the Middle East, which in the past, served to restrain much of the terrorist development, these groups and their threats are now escalating every day and increasing the problems that Israel must deal with. All of this is building up against Israel while Obama and his administration continually do everything they can to strain relations with our Jewish friends in the Middle East. At the same time Obama's administration is daily becoming best friends with their new friend Iran. Israeli Prime Minister Benjamin Netanyahu believes the Iranian nuclear threat is Israel and the world's biggest threat and regularly speaks out against the West not doing enough to prevent them from developing the bomb. All the while the Obama administration and Europe is soft in their negotiations with Iran on this matter as the Iranians slow-play the talks while continuing to develop a nuclear threat by which they could even attack the United States. The more that one examines the trends in this world, the more one is inclined to think things are starting to look hopeless in the long run for God's startup nation of Israel. I had a Muslim friend I used to talk with about these things who was originally from Damascus Syria. He would usually end our conversations by noting that there are over a billion Muslims in the world and eventually, no matter how long it took, Israel will surely be wiped off of the map. Frankly, that is a reasonable conclusion if one bases their opinion on geopolitical trends. It does appear inevitable. However, I would always counter him by declaring to him what the Bible says on this matter. He did not believe the Bible and gave no credence to it. Nevertheless, God's Word promises the descendants of Abraham, Isaac, and Jacob, in other words Israel, national salvation and great blessing when the nation says, "The LORD is my God." Thus, the current nation of Israel will not be destroyed or pushed into the sea. I believe that God's Word stands behind such a conclusion. However, the time between now and the second coming rescue of Israel will be, as Jesus said echoing Daniel, "then there will be a great tribulation, such as has not occurred since the beginning of the world until now, nor ever shall" (Matt. 24:21; Dan. 12:1). Since we are apparently living in the last days of the church age, we already see the Lord's preparation of the world as He sets the stage for the tribulation, which will take place after the rapture of the church. Further, the rapture event and the consequent loss of all the world's truly born-again believers at that time will result in virtually no non-Jewish support of the reestablished nation of Israel. Such hostility to Israel will likely provide the impetus for the Daniel 9:27 covenant between the Revived Roman Anti-Christ and the nation of Israel for protection, especially since I believe it will occur after the Gog and MaGog invasion of Israel when God delivers the nation of Israel through direct, miraculous intervention. Whatever happens in relation to the nation of Israel between now and the rapture, we can be assured that God is in control as He sets the stage for the prophesied events of the tribulation. We know from prophecy that Israel will be a nation in her land. She will also be in control of the old city of Jerusalem. At least by the midpoint of the tribulation, there will be a rebuilt Temple on the spot where the current Dome of the Rock now stands. Perhaps the two witnesses of Revelation 11, who will minister in Jerusalem to the Jewish people in the first half of the tribulation, will use their supernatural powers to oversee and protect the building of the Third Temple. When the witnesses are allowed by God to be killed at the tribulation’s midpoint, it is then that the Beast turns against the Jewish people and defiles the Temple by setting up his image and presence in it claiming to be God. In the mean time we need to continue living for Jesus and spreading the gospel to anyone who will listen. Maranatha!